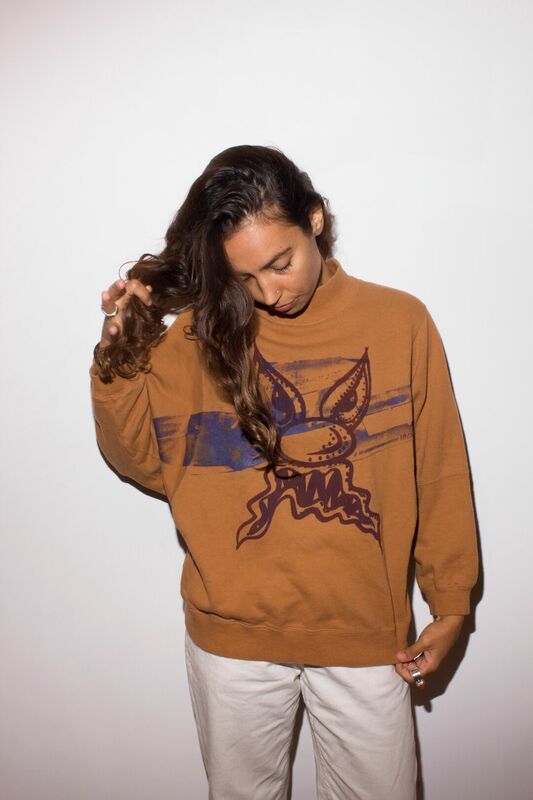 Kenny Scharf + Malia Scharf = the Scharftees Pop-Up at Allouche Gallery! Love wearable art? Get ready for Scharftees ~ when Kenny Starf and his daughter, Malia will hold a pop-up at Allouche Gallery from October 25-27. 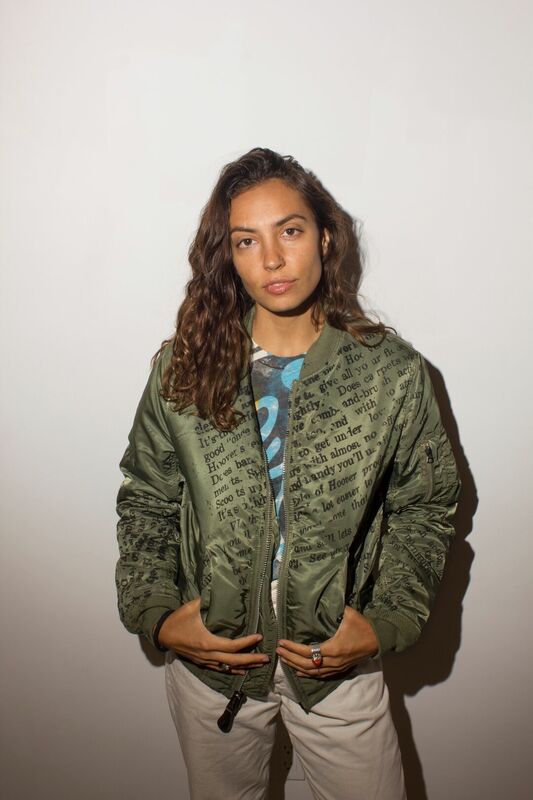 The Scharftees Pop-Up are the creations of the Father/Daughter team, with one of a kind wearable artwork featuring hand screened t-shirts, sweatshirts and hand painted denim jackets. Scharftees was born out of the love for making art combined with the desire to make one-of-a-kind artworks wearable and accessible. Each item of clothing is either painted or hand screened with Kenny’s handmade and curated screens, which he has collected over the past 30 years. “For me, there is no separation between life and art, and clothes are just an extension of yourself living your art,” explains Kenny Scharf. The Scharftees collection is filled with recognizable and defining motifs and vivid colors. It includes signature cartoon-like faces, layers of old advertisements and campaign imagery, and one of Kenny’s early tags, the General Electric symbol (GE). Before coming to NY Kenny dreamed of arriving and meeting one of his idols, Andy Warhol. In a few years his dreams would come true and Andy would become Kenny’s mentor and good friend. Andy was inspired by Kenny’s use of the GE (General Electric) symbol in the streets and created a silk screen to use in the portrait he did of Kenny Scharf. 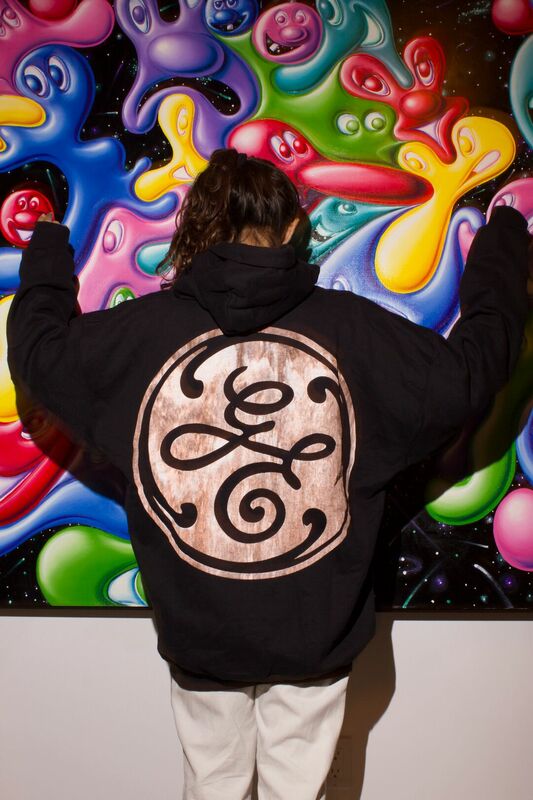 Andy went on to create many works of art with the GE symbol. The Schartees Pop-Up Event will be open to the public with a soft opening on Thursday, October 25 from 6-9pm, and on Friday October 26 and Saturday, October 27th from 10:30am to 7:00pm. Allouche Gallery is located at 82 Gansevoort Street in the Meatpacking District.